Tory Christie - Links, Interviews, and Events! Free Downloadable Curious McCarthy Bookmarks! May 22, 2018 - I will be at Agassiz School doing science stunts with kids and families. Teachers are encouraged to join the Red River Valley Writing Project and our Local Society of Children's Book Writers and Illustrators for a round table event. May 8, 2018 5-6 pm at NDSU. Bring your girl scout to the Red River Valley Fairgrounds for a huge STEM event on May 5, 2018. Listen to my interview with Aditi Wardhan Singh at Raising World Children. Read, Learn, and be Happy! 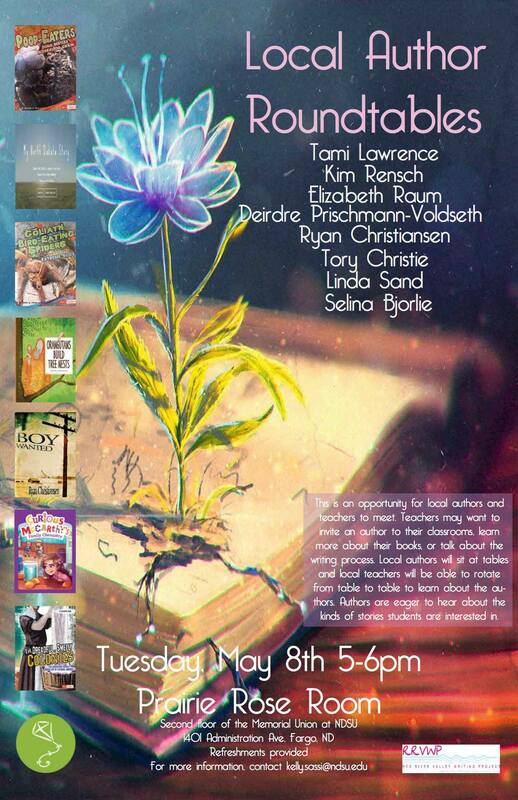 Join me at Zandbroz, 420 North Broadway, Fargo for this festive event featuring local and regional authors. Click here to learn more about my new chapter book series and what it is like to write books for kids! Fargo Barnes and Noble Author Event! Come and have your Curious McCarthy books signed! Sunday, November 12, 2017, 1-3 pm.